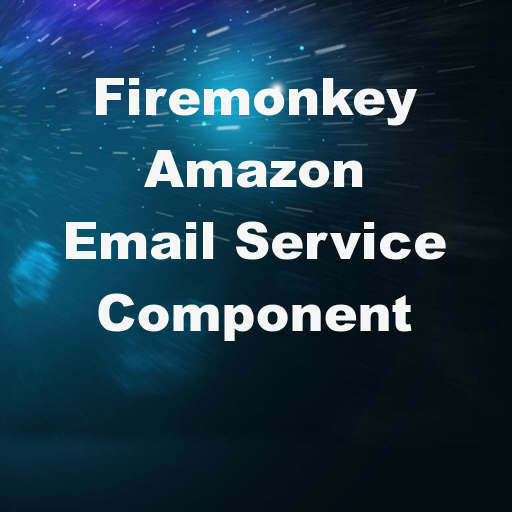 Developer Erick Sasse has released a Amazon Email Service component for Delphi XE8 Firemonkey over on Github. The Amazon Email Service (SES) is basically an outbound email sending service (ala an SMTP gateway) for you to send email through. There is a very small fee per email and they also have tiered buckets on how many emails you send through it a day (the more you max out your bucket the more emails they allow you to send in following days). It is a low cost solution for translational emails, notification emails, or even business emails. We use it a bit and it costs us $2-$3 a month. In any event full source code is provided for the TAmazonEmailService component and you should be able to compile it for Android, IOS, OSX, and Windows. There is a code snippet which allows shows how easy it is to send out an email using the component. You should be able to use this component with Appmethod as well. Head over and download the full source code for the Amazon Email Service component for Delphi XE8 Firemonkey.